Screwpop® Pipe Tool is a pipe smokers DREAM. 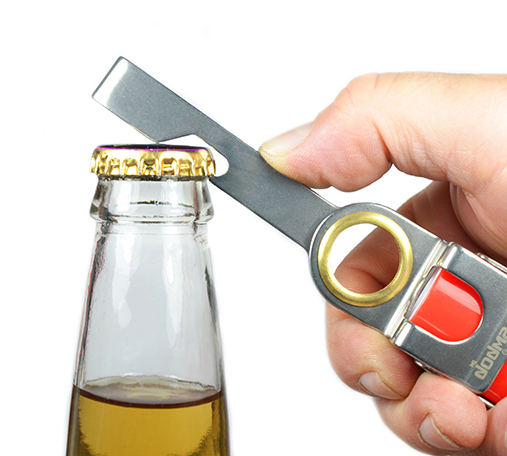 It’s an ingenious (5-in-1) design that includes: Bic Lighter Holder, Tamper, Rod, Scraper and Bottle Opener. 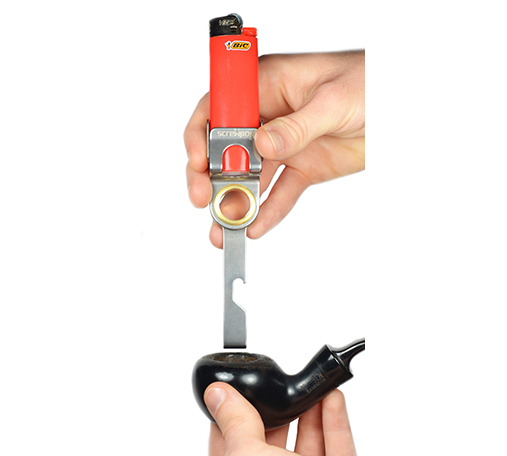 Pipe Tool is engineered to quickly (and comfortably) fold-out with ease. Light, tamper, light, tamper… then fold back together – Simple! 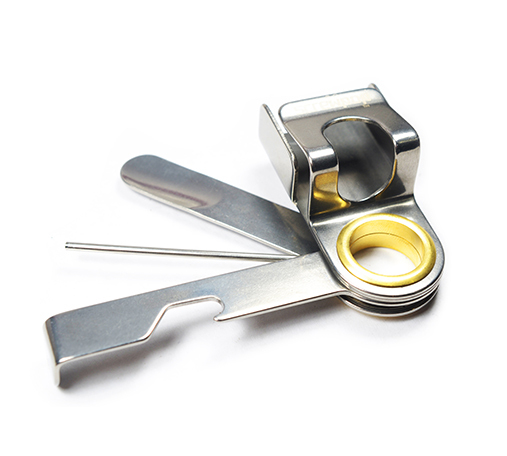 Pipe Tool is constructed from high quality stainless steel with yellow brass eyelet. Made for years of use, this design is rugged yet streamlined. Put it in your pocket, bag or connect to keyring / carabiner. Q – What makes Pipe Tool different than other tools? A – Pipe Tool is designed to eliminate wasted energy when switching between tools (especially lighting and tampering). It also keeps all tools together in one place so they’re easy to find and carry. 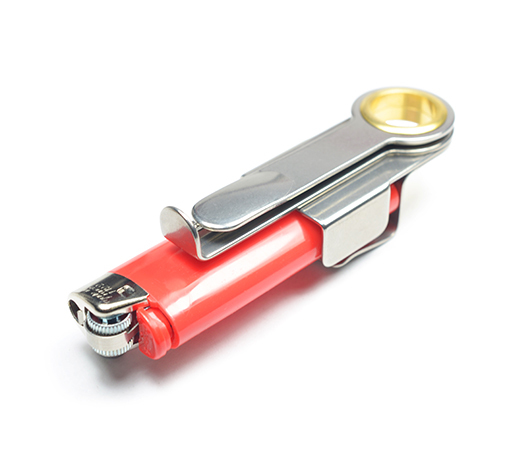 Q – What type of lighters fit in Pipe Tool? 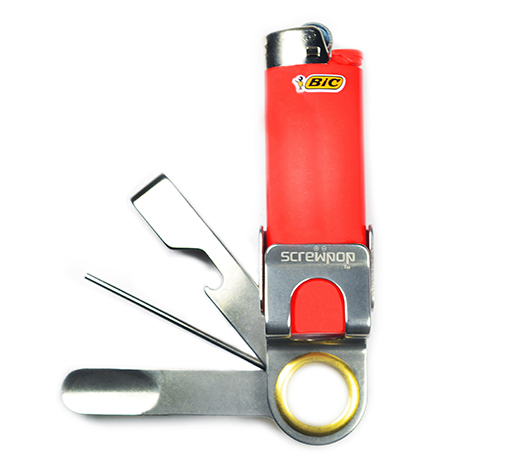 A – Pipe Tool is designed to fit standard-sized BIC Lighters. Q – How long do Standard BIC Lighters last? 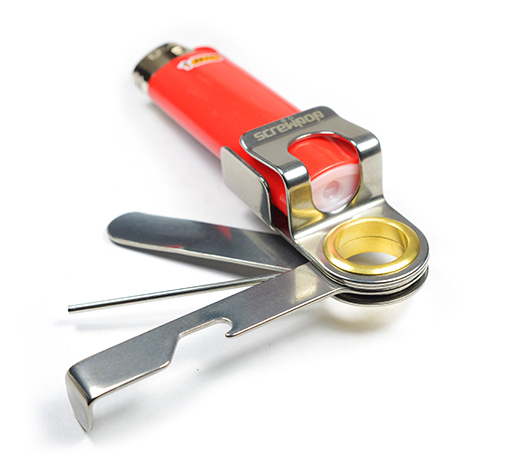 A – Standard BIC Lighters last for approximately 60 minutes of continuous burn-time each. Q – Do the tools fold-out easily? A – Yes. 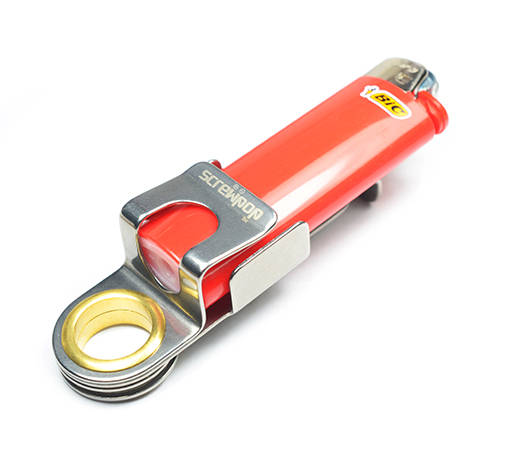 We designed the Pipe Tool to open / close very easily and smoothly. Q – How does Pipe Tool feel in the hand? 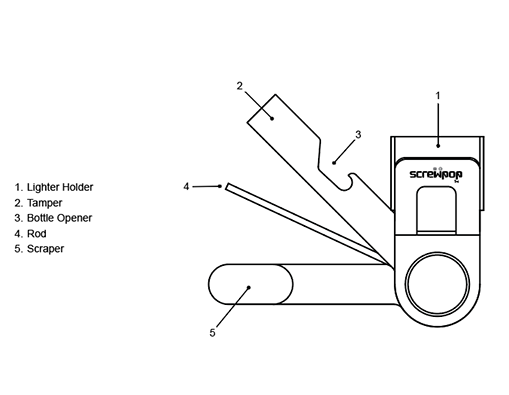 Screwpop Tool, LLC was founded on the principles of lightweight, compact and functional design that could clip easily in most any environment. Founded in January 2009, Screwpop first introduced its highly acclaimed and successful Screwdriver — which immediately sold worldwide. Copyright © 2018 Screwpop Tool, LLC. All Rights Reserved.